Those words used to send fear ripping through my chest when I was sick with Celiac disease and just starting SCD. I never thought I would be able to do things like that on a diet like SCD or GAPS. I felt trapped, like I couldn’t eat anything unless it was cooked right here in my own kitchen. I thought traveling and camping adventures were something that I’d never do again – that it was just part of being someone healing on the SCD diet. It only took me a few more years to realize it was ENTIRELY possible, and the only thing standing in the way was ME. All I needed was a plan and the right checklist of travel foods and I could do anything I wanted… go anywhere I wanted. And that’s exactly what we have for you today… a step-by-step guide for camping and backpacking on SCD or GAPS. It was put together by one of our community members, Dana, who absolutely blew us away with the detailed guide she put together from her trip into the Canadian wilderness. Dana went ABOVE and BEYOND to share her best tips for camping and backpacking on SCD/GAPS after successfully hiking and backpacking miles each day (without getting sick or losing more weight). This was no ordinary road trip. Dana was going deep in the backcountry in Canada, hundreds of miles away from any Whole Foods grocery stores. Dana… you’re amazing! Thank you for your willingness to step up and share this step-by-step guide and spread the word about the healing power of eating real food. IMPORTANT NOTE: Not everyone will tolerate some of the manufactured food listed in this post… and that’s OK. For example: I personally tolerate Bison Bars from Epic very well and eat them all the time, but I’m very sensitive to LaraBars and avoid them like the plague. If you’re a “tough case” — PLEASE USE CAUTION. It was June of 2015, and my husband and I were busy with final preparations for a long-planned trip to Canada’s Quetico Provincial Park. The Quetico is a world-famous destination for backcountry canoeing with over 2,000 lakes and 1.1 million acres of remote wilderness. Our plan was to have a seaplane fly us, our friends, and our gear into the park, then canoe 75 miles back to the take-out point. It wasn’t the thought of meeting up with a black bear that had me scared. It wasn’t knowing that we would have no cell phones and no way to get help if we needed it. It wasn’t even the anticipated discomfort of camping for seven days with lots of bugs, no comfy bed, and no shower. What terrified me was what was I going to eat? By our August departure date, I would be five months into the GAPS diet. Being the very stubborn and determined type, there was no way I was going to cheat. I had already made too much progress toward healing my leaky gut to backslide, especially for a whole week. Plus, I’m gluten and casein intolerant, so cheating on those things is not even an option. 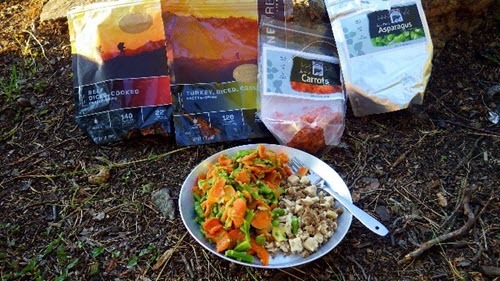 The foil-pouch instant meals that are the usual staples for backcountry campers do offer gluten and dairy-free recipes, but every single one I checked out had some other GAPS/SCD-illegal ingredient like rice, corn, quinoa, oats or potatoes. Panic was starting to set in. While my backcountry trip might be a bit out of the ordinary, any travel poses challenges to the GAPS/SCD dieter. Often, the only restaurant choices on a long car trip through rural areas or small towns are fast food joints, truck stops or “greasy spoons” – where the food is typically pre-prepared, so leaving out ingredients is not possible, and the kitchen and wait staff sometimes don’t even know all the ingredients used. Refrigerators in hotel rooms are fairly common, but unless you pay extra to have a mini-kitchen you don’t have the ability to cook. While you can bring your own food on airplanes, it’s difficult to find GAPS/SCD compliant food at airports. If you bring food from home, you still have the challenges of no refrigeration or cooking ability plus no taking liquids through security, all while making sure your carry-ons are small and lightweight. So, how did I solve my travel food dilemma? I did what any stubborn, determined person would do. I Googled! After hours of research, I found options that had me feeling confident I could stick to my GAPS diet, even in a canoe in the Canadian wilderness. The criteria I used in researching food options for my camping trip actually apply to many travel situations. My first criterion was, of course, that the food had to be GAPS/SCD compliant. No illegal ingredients*, no preservatives, and as little “processing” as possible (although I realized I would have to be lenient on the processing aspect given the nature of my trip, as leniency was a better choice than starvation). Second, because we were backpacking and portaging all of our gear, which did not include a cooler, being lightweight and non-perishable were my other non-negotiable criteria. During the day while we were paddling, I knew there would be occasions when we would not be able to fire up the tiny backpacking stove, be it for lack of time or bad weather. So, I would need some food that did not have to be cooked. Third, the food would have to be nutritious, since I needed to support the healing my body was doing plus all the physical activity. Last, but not least, it would be a definite bonus if the food was tasty and satisfying! * – I was on the full GAPS diet at the time. Keep in mind the stage of diet you are in, and any personal food intolerances you have, when considering the following ideas. Breakfast was the most challenging meal. My first thought was nut butter – but how to transport it, and what to put it on besides a spoon? The transportation issue was solved with GoToobs, which HumanGear, the manufacturer, describes as “the civilized, smart, squeezable tube for traveling.” They are made of food-safe silicone, are approved for airline carry-on, and are 100% BPA-free and PC-free. I would follow the company’s advice to put the tube in a Ziplock® bag for insurance against leaking (imagining what a disaster peanut butter all over the contents of my food sack would be). I thought fruit leather would be a good nut-butter carrier. I could not find any products that did not have added sugar, so I made my own with a recipe that calls for just fruit and honey. I cut the leather into large squares and stacked them in a Ziplock® baggie with wax paper between each. The next obvious option was powdered eggs, but my only experience with a camp-food brand was that the end product was better suited to being used as a Frisbee™ than as food. And could I find a brand without milk powder, vegetable oil, xanthan gum and the other typical, GAPS/SCD illegal ingredients? Success! OvaEasy Egg Crystals contain just whole eggs*, yolk* and dried egg whites*. * – Glucose removed for stability. My husband and I tested a package before going on our trip, just to make sure they were palatable. We made them with a little coconut oil in the pan, since that would be the oil we would take on our trip. We were pleasantly surprised, as these eggs came out light, fluffy and flavorful. In fact, they tasted very close to fresh! Dried legumes came to mind for fiber and protein, but overnight soaking and lengthy cooking time were hassles I did not want to tackle while camping. Then, I stumbled upon Harmony House Foods. They offer dried lentils that are “sorted, washed, soaked, and gently processed to take the work out of bean preparation,” plus the description indicated they are non-GMO with no additives or preservatives and gluten free. Preparation instructions indicated to simmer for 10-15 minutes. Perfect! Vegetables would be great with both scrambled eggs and lentils. I had taken freeze-dried veggies on previous camping trips, but my research brought me to a great new resource: North Bay Trading Company. I was so excited to find their many organic and non-GMO products. I chose freeze-dried spinach, mushrooms, red peppers, asparagus and broccoli, which I figured I would use in different combinations with the eggs or lentils. I could rehydrate them in the same cooking pot as the lentils, but make them separately when having eggs as the liquid egg would likely not provide enough moisture to get them out of the crunchy stage. Salt and pepper would provide seasoning, and I would mix in coconut oil with the lentils and veggies for some good fat. 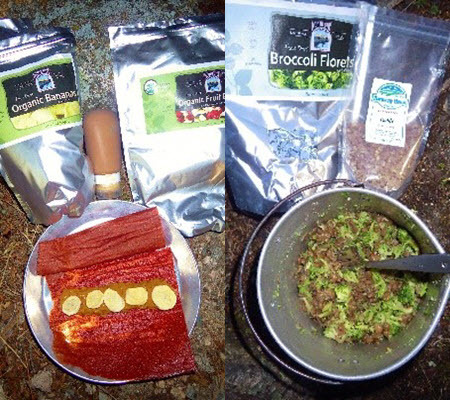 My menu would be similar for both lunch and dinner: freeze-dried meats and vegetables. I found several companies that offer plain, freeze-dried meats. At the time of my trip, I chose AlpineAire, which offers freeze-dried chicken, turkey and beef, but unfortunately it appears they no longer offer small packages. Backpacker’s Pantry offers freeze-dried chicken and beef in one-ounce, single-serving packages. This was another area, however, where I had to “give” on my standards in exchange for having a protein source. I could not find a provider of freeze-dried meat that uses grass-fed animals or pastured birds, or that states their meats are free of hormones and antibiotics. …we all know marketing claims like this are weak unless supported by third-party verification, of which I could find none. Their packets are BPA-free, but I would re-hydrate meat and vegetables together in the same metal camping cookware in which I heated the water. I could make a different combination every meal for variety, using the same veggies as for breakfast plus green beans, carrots, and peas. After draining the water, I’d stir in coconut oil and some of my favorite spice mixes, which I could pack in snack-sized baggies. When heating water was not an option, I planned to dine on jerky and tuna. I realize that jerky is processed and smoked, both of which are no-no’s on GAPS and SCD. But, in my opinion, for limited use, jerky is a good “Plan B” to have on hand, in case you cannot find acceptable alternatives on the road. Epic offers several tasty and unusual flavors without added sweeteners or other GAPS/SCD-illegal ingredients. (But check each flavor carefully to make sure it does not contain something you should not have at your stage of the diet.) They promote their use of grass-fed and humanely-raised animals (see https://epicbar.com/animals.html for specifics), and that their bars are gluten, soy, dairy, hormone and antibiotic-free. For tuna, I chose Wild Planet’s Wild Albacore in single serve pouches, which is available at many grocery stores. The BPA-free pouch is lighter than a metal can and has no added liquid, so you avoid the smelly mess you get when draining canned tuna. The product comes with or without sea salt added. I would add some of my spices for flavor. The freeze-dried vegetables would make an easy and wonderfully-crunchy side to the jerky and tuna for lunch on the go. I would pre-mix peas, green beans, carrots and red peppers in a baggie, and eat them non-rehydrated. Buying the Just Veggies brand freeze-dried mixed vegetable snack would have been easier, but it includes corn (so was not an option). I find snacks to be a challenge on GAPS/SCD when I am at home, not to mention when I’m traveling. Freeze-dried fruit is a great travel snack. It is lighter than regular dried fruit. I chose North Bay Trading Company’s freeze-dried Organic Fruit Blend and freeze-dried Organic Bananas and would eat them right out of the bag without rehydrating. Both would also be great sprinkled on my morning fruit leather and peanut butter roll. Larabars are a personal favorite snack on the go. Most flavors have six or fewer ingredients, such as dates, nuts and spices. The website lists what flavors are gluten, dairy, soy and GMO-free. I have to pass on the chocolate varieties, as chocolate is not allowed on GAPS, but there are plenty of other tasty choices. I would be taking lots of Larabars! I’m not a dessert person, but I know when I’m sitting around a campfire and my companions are enjoying hot chocolate and s’mores, my usual salt cravings morph into a sweet tooth. A company called Susie’s Nature Bars, which is located in my home state of Wisconsin, makes a to-die-for product (available to order online) called Coconutty Grain-free. It’s made from almonds, coconut, honey and sea salt. I would be packing these as dessert and snacks! On chilly nights, I knew I’d be wanting a cup of hot chamomile tea. While I could use my powdered stevia sweetener, I prefer honey in tea. But even in a GoToob, honey is just a sticky mess waiting to happen. Short of visiting a restaurant and taking more than my fair share of the little foil packets of honey you can sometimes find along with the foil-packet ketchup, I thought I’d have to do without. Luckily, a company called Wilderness Dining sells honey in packets! I’m pleased to say I had enough energy from my travel-food choices to paddle an average of five hours a day for seven days and portage a 30-pound backpack over five total miles of really tough trail. 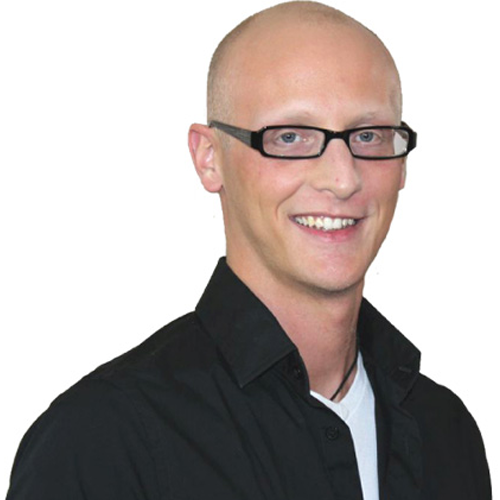 I lost no weight, which was key because I lost a lot in my first months on the GAPS diet and at five-foot-six was down to a too-skinny 101 pounds. My stomach was as flat as the surface of the lakes we paddled on a windless day – no bloating, which at the time was still typical for me after most meals. I even met my bonus criteria: all the food tasted great! Note: As with any food choice on the GAPS diet or SCD, you must keep in mind what is allowed during the stage of the diet you are in, as well as your individual tolerances. Why always checking the ingredients before buying something matters – Do this even if it is a product you’ve purchased before, as manufacturers sometimes change recipes. If you are Celiac or super-sensitive, check for gluten-free certification. As you know, while a product might not have any gluten-containing ingredients, so many are produced in facilities that also process grains. How to quickly create more space when packing for your trip – The pouches in which the freeze-dried fruits, vegetables and meats come are often full of air to the point they look like little pillows. This serves as a cushion to protect the contents from crushing. It is a great feature if you are traveling by car, but when space is an issue, such as on a plane or in a backpack, it is a problem. I used a straight pin to poke a small hole in the bags, pushed gently to get the air out, and then covered the hole with duct tape to maintain freshness. While I did end up with some product in smaller pieces than I would have liked, this method allowed me to pack a lot more into the same space. How to re-hydrate freeze-dried foods on the go – Tap water is sometimes hot enough. If you are in a hotel, you can heat water using the in-room coffee pot, or get hot water in the lobby if your hotel offers a help-yourself coffee/tea bar. Where to find quality eating utensils for travel – Even if you’re not a camper, camping supply stores offer some handy, travel-friendly eating utensils. I use the Sea to Summit X-Bowl. It’s collapsible, made from food-grade silicone and nylon, and is heat resistant up to 300 degrees. HumanGear offers some sturdy, lightweight, compact forks, knives and spoons. How to satisfy those crunchy, salty snack cravings (while on the road) – If you’re jonesing for these snacks while on GAPS/SCD (I am a recovering popcorn and tortilla chip addict), try mixing a little olive oil into a bowl of freeze-dried peas and green beans, then sprinkling with sea salt. Where to find portable and quality, grass-fed portable meat – Check out PaleoValley’s 100% Grass-fed Beef Sticks. Thanks to a promotional email from Jordan and Steve, I’ve recently discovered them and they’re super tasty. FYI – U.S. Wellness Meats sells jerky that is made from just beef and salt, but it is not shelf stable. Their website states, that after thawing, the frozen product will last up to ten days in the refrigerator. If you will have access to consistent cooling on your travels, this product sounds like a great choice. How to order a “safe” salad (and actually enjoy it) – I often order salads without dressing, when traveling. But unless I am in a high-end restaurant, I am always leery of using the house oil and vinegar, suspecting that the oil might be vegetable or seed rather than olive. The balsamic is likely low-quality with sugar added, and whatever non-balsamic vinegar they offer might contain malt. Consider carrying with you a small GoToob (mentioned above) with a premix of your own olive oil and legal vinegar. Travel is sometimes an unavoidable obligation, such as for a job, and sometimes a wonderfully life-enriching choice. In either case, sticking to the GAPS diet or SCD while traveling can seem like an impossible task. With a little research and advanced planning, you don’t have to sacrifice your health in order to travel. Yes, it’s more work, but it’s worth it. I am honored to have been given the opportunity to share this information with you, my fellow SCD Lifestyle community members. My hope is that you picked up at least one new idea that will make it easier for you to stick to your diet when traveling. Happy – and healthy – trails to you. A very special thank you goes out to Dana for sharing her story!! Sharing these stories really means a lot to us, and we hope that Dana’s courage and strength can inspire others to follow in her footsteps… and more importantly, to confidently leave the house and have a lot more fun (without getting sick). Okay, so if you made it this far, you have a comprehensive, step-by-step guide to backcountry camping on SCD / GAPS (something I never had when I first started). You are now armed with the basic information to head out into nature confidently, knowing you have the food that’s going to keep you healthy and happy in your travels. It’s so liberating to know you can start to open up to the possibility of having adventures you never thought possible again. I hope you share this with others you know who are affected. And please let us know, in the comments, what your number one takeaway from this article is. If you need more help with traveling and social life tips on SCD or GAPS, you can get our “Social Butterfly” program here. Awesomely helpful, Dana! Thanks for sharing such helpful insights based on your research and experience. I can’t wait to try some of your recommendations. Camp-on! I contacted the North Bay Trading Company. Please beware before consuming their products: their products are not certified gluten-free. Here is a copy of their reply to me. “No, they are not certified gluten free, and some can be processed in a facility that also handle cereal grains including wheat. Thanks for sharing this Amy!! 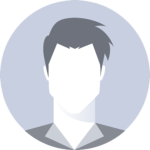 Thanks for your research and the willingness to share it with us! I travel a lot and have always struggled to eat well while on the road. In fact, the last time I went to China, I thought it was easier to eat there (meat + veggies cooked plainly) than to eat gluten/casein/sugar free here in the United States. I will definitely be using these tips in the future! Thank you SO much Dana! It looks like a LOT of hard work went into this article and I really appreciate it. Reading this has me excited to go on my first camping trip with my girlfriend!